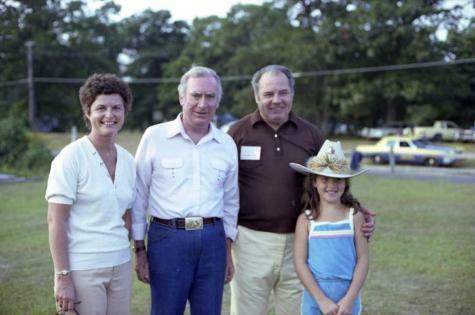 Governor Hugh Carey with John C. Egan, Commissioner of the Office of General Services, and his family at a press party on Shelter Island. Source: New York State Archives. New York (State). Governor. Public information photographs, 1910-1992. Series 13703-83, Box 9, No. 80846_035.